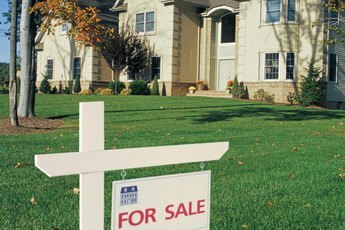 Settle the co-ownership rules before you buy the house. It's perfectly legal to co-own a house with someone to whom you're not married. You can put your name on the deed even if you don't sign the mortgage, provided the lender agrees. Taking title as unmarried partners or friends, however, is often more complicated than when a married couple buys a house. The deed should say whether you're taking title as tenants in common or joint tenants with right of survivorship, the two main options for unmarried co-owners. The joint tenancy option gives you both equal stakes in the house. If one of you dies, the survivor inherits his share. With tenancy in common, you can own unequal shares -- 70 percent and 30 percent, for example -- and each of you is free to leave your respective shares in the house to anyone you want. Money arguments are a rock against which a lot of couples crash. 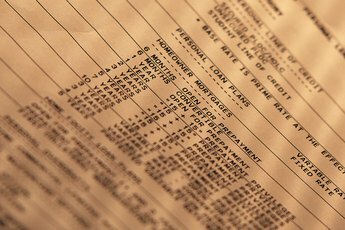 Even if your name is on the deed along with that of your partner, the two of you should be clear how you're handling the finances. If you both agree that she pays all the housing expenses, that's fine -- but you should be clear that's what you've agreed to and not just assume it. If your spouse thinks paying the bills should give her a higher percentage of ownership, you need to be on the same page about that, too. If your partner already owns the house, he should check with the lender before adding you to the deed. It's possible that changing the title will trigger a "due on sale" clause and require that he pay off the mortgage. If not, a simple quitclaim deed will transfer title from him alone to the two of you together without changing responsibility for the mortgage. As you're not a spouse, giving you half of the house could trigger federal gift taxes. It would be nice if love were eternal, but -- as everyone knows -- it isn't. Thinking about how you'll handle the house if you break up is unpleasant, but it can protect you both later on. 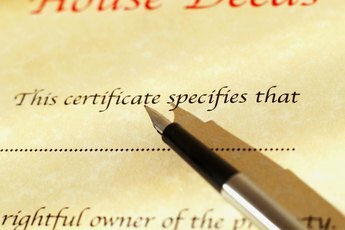 It's one reason a written agreement about percentage of ownership is important: If all you have is two names on the deed, a court will assume you each own half. If that's not the way you divide expenses, that may not work out well. Why Is Spousal Consent Required for a Mortgage?